"We took our stop at this beautiful place while travelling from munsiyari to kausani. 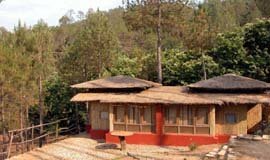 Nestled amidst a pine forest this place is perfect for detoxification. The best part is that it offers all kinds of moder facilities." "We traveled during Christmas, and stayed there for 2 days. As soon as we reached the resort, we were overwhelmed with the breathtaking views of 10 great peaks of Himalayas right in front of us....."
"Stay was pleasant location is very calm and staff is average.room service is generaly very late.food is ok.you have to face insect in the balcony if you are trevelling in june and july.overall it is a good hotel." 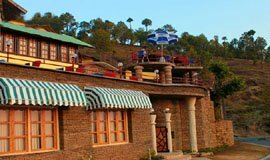 "Excellent place to spend a week or two in summers on winters. We really enjoyed the every moment of our stay in Misty Mountains Retreat. The view of the himalayas can't get better than this place. " 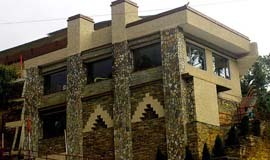 "The stay was good.nice place.Good food & room service are excellent. Room are very neat & clean. 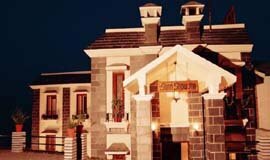 All staff people are very kind & Helpful in nature homely atmosphere. 5 min. 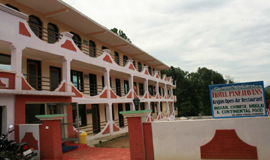 walk for Himalaya view & Gandhi Ashram from hotel"
"Very bad rooms which stinked and had pests. The hotel is an old one and on the road with good traffic an dhence quite noisy too. Add to it the pathetic condition of the rooms and it kinda spoils the whole travel experience. " "Very nice furniture. Pleasant stay in cottages . Superb view of Himalaya. Hotel rooms average but cottage rooms newly constructed so well. Nice water supply. " 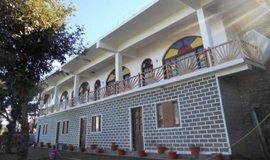 "We stayed there for day during the post monsoon seasons. The location was good for the Snow clad View but the season was not right and we couldn't see the Early Beautiful Sunrise. " "The amenities are very poor..No Gyser are there and hot water is only available from 7:30 am to 9 am through buckets as solar boilers we're not working.. The management is very poor.."
"Let me make one thing clear. There is absolutely nothing special about this place other than the Location. 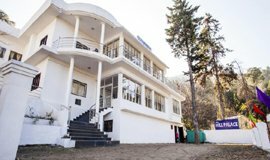 They have the BEST spot of land in the area (along with KMVN that's down the road) which gives you a panoramic view of the mountain ranges.."
"An outstanding location with breathtaking unrestricted views of the ice clad mountain ranges. Quaint, peaceful place. Very warm and hospitable staff who is ever ready to serve with a smile. " "Best Services in cheapest price. very beautiful places. service from station to station and all day trip with family. Jheel jharne pahaad jangal. parvat. very beautiful place." 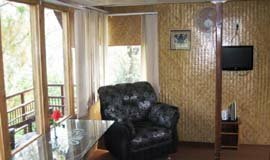 "The property is very well maintained. Amazing view. Lovely fire place. Activity area and play zone for kids. The triple sharing rooms have bunk beds. Very nicely made. The view of the Himalayan Range is the best part. " "I have recently (last week of Dec2016) stayed in this hotel with my family. 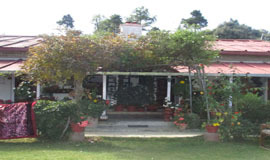 The property is closely located to Gandhi Ashram. As we have visited during off season time, manager upgraded our room from deluxe to super deluxe. Rooms are neat and clean." 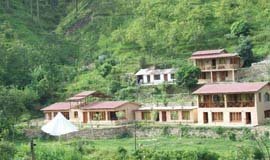 "It is a best retreat place to enjoy a peaceful and relaxing holiday. 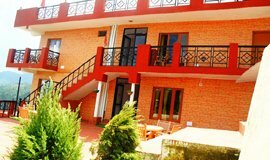 The proprietor and his staff are friendly and helpful, which adds to the pleasure of putting up in Freedom Guest House."" 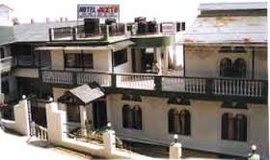 "Hotel has all the basic amenities and a very cooperative staff plus nice views are also available from almost all the parts of the hotel . since our room was on back side the staff would come to wake us up to watch the sunrise.."
"I was unsure about my stay over here after reading the reviews. But my stay changed my perception. Room location is too good, food prepared by the family is pure homely. Rooms are clean..."
"Good location, peaceful. Rooms are nicely done. You can wake up in morning and can enjoy the good scenaric view. Warmth hospitality of the owner of the guest house." "The stay overall very overwhelming, rooms are spacious and very comfortable. 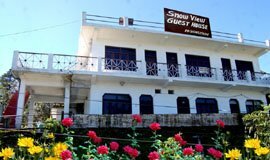 It offers a scenic view at reasonable cost..."
"Very good hotel to stay for couple of days located in outskirt city free from hustle & bustle very clam and quite place,rooms are great to view full mountain peaks,very organized staff"
"We stayed in the hotel for four nights. Though the staff was friendly and helpful, there was no senior supervisor available and the hotel was being run at the level of room boys and the cook..."
"The hotel is amazing and the service is very good too. The view of the tea estates is awesome and the owner of the place is a very helpful person. The food is also very good. All in all a great experience." 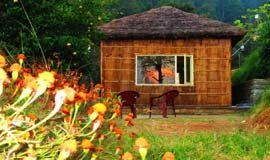 "Pug's Paw Eco Retreat turned out to be quite a surprise for the whole family!There's outdoor dining, yoga, frolicking in the river Kosi, wilderness watch, zillions of outdoor activities, and ah!.. the list goes on. " "I had a terrific and unforgettable experience with this hotel. Since I had to stay only for one night, so I decided to stay here when it was recommended by my taxi driver. There was no cleanliness in the hotel.."
"Breathtaking view of the Himalayan ranges from right within the room. The rooms were very spacious with sufficient seating arrangements. The behaviour of the staff was extremely warm; service was prompt..."
"The serenity associated with this place is magical to say the least and the same is evident the moment you set foot on this beautiful property. The balconies, the sunset lounge, the library, the sitting room and the dining area are just amazing. " 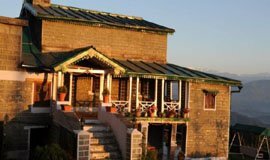 What are hotels with best views in Kausani? 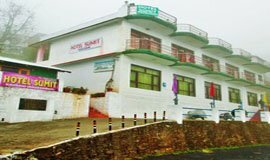 Kausani Hotels like Heritage Resort, Pratiksha Resort, The Buransh, Pine Havens and Kausani Best Inn are situated as such location where the guest can easily capture the beautiful views of Himalayan Mountains and lush green surroundings. 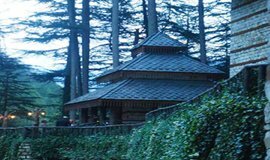 When to plan trip to Kausani for seeing the snow? Which hotel to book for best deals? To see and enjoy the snowfall in Kausani, the one should visit Kausani during the month of January and February. You will be amazed by seeing the sight of Snow-covered Himalayan ranges. 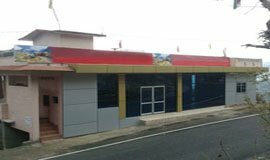 As for the hotels, Heritage Resort, Pratiksha Resort, Chevron Mountvilla are some of the best hotels which offers decent facilities with Good tariff. 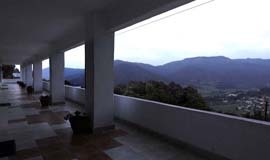 In addition to that, the location of these properties will give you the extraordinary views of Himalayas. 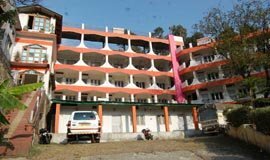 How to find the suitable budget hotel in Kausani in less than 2000 in December 25 ? 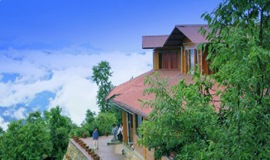 December 25th is the time of Peak season in all Kumaon regions including Kausani. 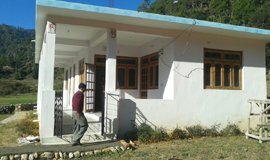 To book a budget property in Kausani, the one must book hotels in one month advance to avoid last minute hassle, as there will be too much rush during December until NewYear and all the hotels could be sold out. 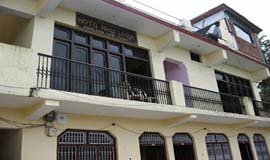 Budget Hotels like Pine Havens, Kausani Best Inn, Hotel Sagar could be the best option during this period. 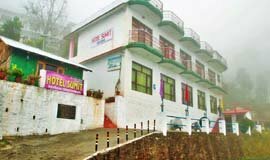 Finding and booking hotels in Kausani has always be a tiresome task. 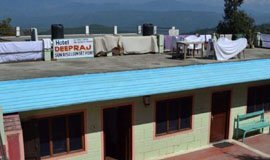 Getting the right choice of Kausani hotels in terms of reasonable tariff, convenient location, amenities and facilities,staff service,views from the hotel and its rooms.These are some of the major points traveller looks into before booking the hotel. 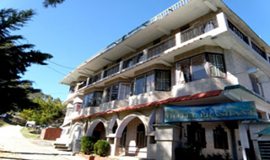 Allseasonsz.com offers fast & easy online booking of Kausani hotels ,great availability,no reservation cost,special offers.Allseasonsz.com has introduced new PROS AND CONS section of every hotel with PROS highlighted in sky blue color and CONS highlighted in dark blue color of reviewing the most popular hotels in Kausani and comparing them at one go, thanks to our team of local experts residing in Uttarakhand.Look beyond the tripadvisor reviews of hotels,with Uttarakhand locals for booking at best prices guaranteed on room tariff, hotel packages.